I have to admit I often drink wine without thinking of what I am pairing it with. I am not super sensitive to wine affecting food or food affecting wine. I have a great respect for a person who has such a gift but that is not one of my superpowers. I often just drink what I want to drink, but I have to say sometimes I do feel wine and food pairings illustrate a point. In this case, that Rias Baixas has very different sub-zones and hence make very different white wines. 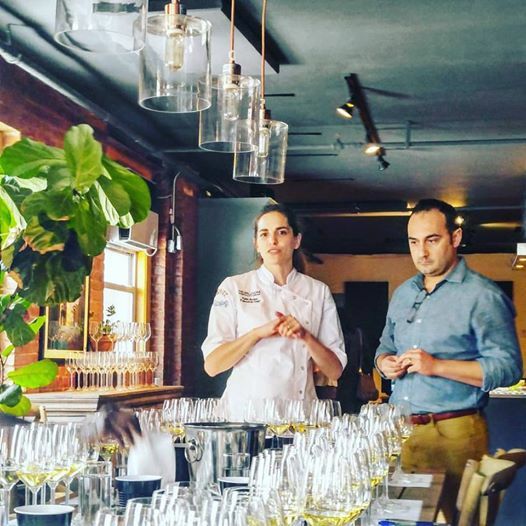 It was a lunch/seminar that would be led by a dynamic wife/husband team, Chef Katie Button and Wine Director Felix Meana. They are co-founders of Heirloom Hospitality, including Cúrate bar de tapas and Nightbell in Asheville, North Carolina. Button is already a rising star Chef and her husband, Meana, was a great guide for our vinous journey, immersing us into Rias Baixas, Spain, as well as Albariño by explaining how he shows their restaurant guests the differences in terroir by matching certain tapas to specific sub-zones. Spain is known as a red wine country. And for great reason! Rioja, Ribera del Duero and Priorat are just some of the world class red wine making regions in Spain. At one time many US wine drinkers wouldn’t even consider drinking a white from Spain. 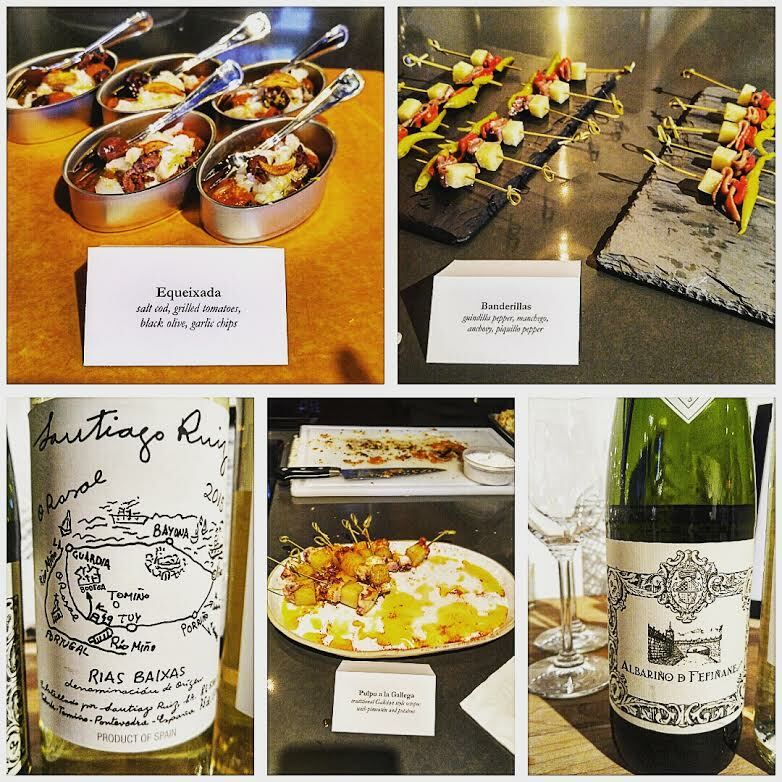 But that has started to change with the introduction of Albariño from Rias Baixas, which is located in the northwestern Galicia region in Spain. Galicia is vastly different from the rest of Spain, with higher rainfall, giving a greener look hence why it is referred to as Green Spain. For those of you who have discovered Albariño white wines you may have already heard about the area of Rias Baixas. If you are hearing about it for the first time, don’t worry, you are probably in the majority. I must admit that I just thought of Rias Baixas as one place and thought all of the differences in style had to do with winemaking only. 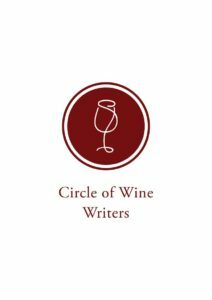 Yes, what a producer does in the winery makes a difference but there are sub-zones within this area which influence the grapes differently, and hence may help to inform the various winemaking choices a producer may make. One of the most distinctive features of the soils from Rias Baixas is that they are granite dominant. Granite soils have great drainage, which is necessary for the higher rainfall in Rias Baixas, but also have low fertility which helps to keep yields low, helping to grow grapes with more concentration for higher quality wines. The granite is such a huge part of Rias Baixas that the Albariño vines are trained on a wire trellis anchored by granite posts. Some of these wires are raised as much as seven feet high, allowing breezes to flow between the vines helping to prevent disease. Some vineyards are replacing this traditional “parra” canopy system with a double cordon system that will help to continue to restrict yields and encourage aeration but will be more manageable for vineyard workers. 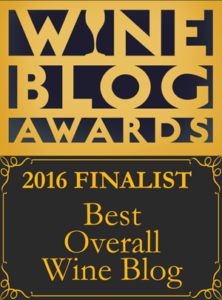 In my previous studies, Albariño is one of the grapes that mystified me. It can be so different that sometimes I would get it in a blind tasting and sometimes I would not. Even though Albariño is a white grape variety capable of higher alcohol, the fact that it is grown in the cooler area of Rias Baixas keeps it between 12-12.5% abv – which nowadays that would be considered a lower alcohol wine. 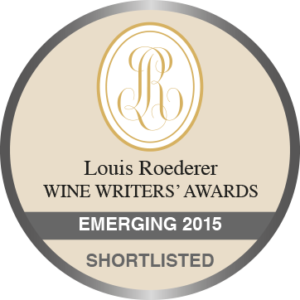 And so it is a wine that I have lumped into the moderate alcohol, semi-aromatic (this term drives some people I know up the wall) wine category with high acidity and an exotic spicy note. What is interesting, though, is that sometimes Albariño can be intensely aromatic and sometimes it can lack any aromas or flavors, such as one would find in Vinho Verde wines in Portugal (it makes up the blend under its Portuguese name Alvarinho). Some people have thought I was mad because I would mix up Grüner Veltliner from Austria with Albariño from Rias Baixas. 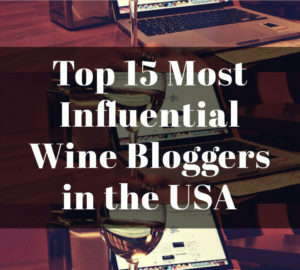 Okay, that is not the only reason for people to think I am mad, but in my defense, one time, I was blind tasting with a Sommelier originally from Spain and he said that he mixed up Grüner Veltliner and Albariño all the time. They are both moderate alcohol and Grüner has that white pepper note that we both confused with that exotic spice note sometimes present in Albariño. 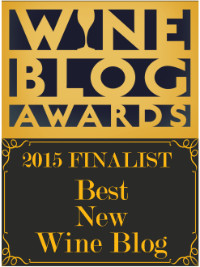 But I digress, as usual, and so lets talk about Albariño. It sounds like a delicious white wine right? Well, like everything else they are not all created equal and this is where we get into sub-zones. 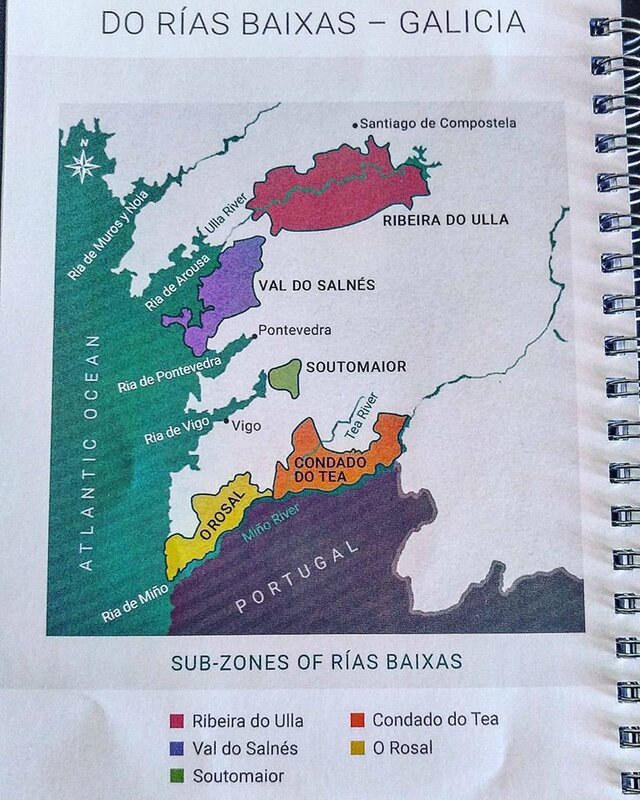 There are 5 wine sub-zones of Rias Baixas: Ribeira do Ulla, Val do Salnés, Soutomaior, Condado do Tea and O Rosal. I will only focus on Val do Salnés, Condado do Tea and O Rosal since these are the areas we focused on and tasted. Val do Salnés is a sub-zone known for being the birthplace for Albariño and it the area where most Albariño is grown. It is in purple in the map below. It is also the coolest and wettest, averaging around 55F (13C). 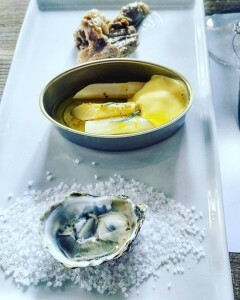 Felix Meana drew our attention to the seaweed and salinity qualities of these wines, which paired perfectly with an Blue Point oyster (another wine writer next to me was allergic to oysters and she was kind enough to give me hers.. so I had two!) and one can imagine other shellfish and certain fin fish pairing well too. Also, when thinking about having Albariño as an aperitif, the Salnés is the way to go. Condado do Tea is more inland, as you can see it in orange in the map on the right, and more southerly located, by the border of Portugal. It is warmer than Val do Salnés with an average temperature around 59C (15C) and can rise as high as 104F (40C). The wines have richer, more ripe fruit flavors and paired very nicely with white asparagus (that were preserved in a can and shipped from Spain) in “light as air” mayonnaise enhanced with tarragon and lemon vinaigrette. Also, these wines were fantastic with braised pork in an apricot Albariño sauce (a wink to Button and Meana’s current home in North Carolina). O Rosal sits in the southerly area of Rias Baixas as well, but is near the Atlantic so their weather is warmer than Val do Salnés but cooler than Condado Tea, so the wines are relatively moderate in body with that touch of a saline quality. In is illustrated in yellow in the map above. The O Rosal wines could easily have been paired with the oyster, as well as the heavier dishes such as the pulled pork, so if you want to have only one bottle of wine throughout a meal, O Rosal may be the best choice. Also, they have a distinctive peach note almost like biting into a peach so ripe that it drizzles down your chin. The peach note may also come from the fact that other local varieties such as Loureira, Godello, Treixadura and/or Caíño Blanco are typically added. 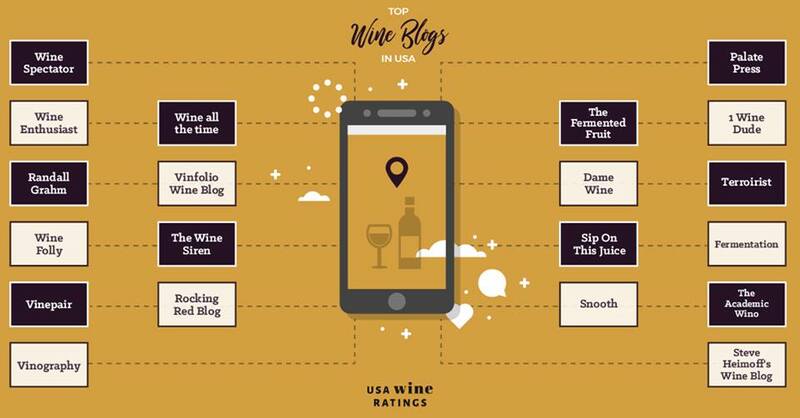 Does Specific Geographic Labeling benefit the wine drinker? It seems lately that many regions around the world have taken to getting a lot more specific with their geographic labeling. 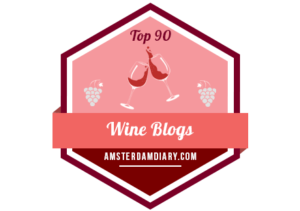 Some are against this because they are afraid it will confuse wine drinkers even more in a world that is already too fractionated… but I tend to be on the other side of the fence. At the end of the day, you will still be able to present the wines as only Albariño, or a white wine from Spain, or heck one time I heard a Sommelier sell it as “Spain’s Sauvignon Blanc” and he sold cases of it. Yes, I know, it does not have the herbaceous quality, generally, that Sauvignon has but it is all about serving the customer and speaking in terms that connect to them. But for those who want to know more, who are able to invest their time looking up information on the internet, or at least walk away from a restaurant knowing that one region goes more with seafood and one goes more with pulled pork (I need to really stop thinking about pulled pork!!!) then at least there are informed people to give them that information. And in this information age we are living in it really can’t hurt. So yes, it does benefit the wine drinker if they are interested in taking the time to benefit from it. And if not, then nothing lost. I have to say that I was really impressed by Button and Meana… not just because they knew a lot, or they were obviously talented (if you look them up on the internet you will see they have impressive resumes) but I was most impressed because they represented why some of the best get into the food and wine business: to serve the customer. They had graciousness and enthusiasm that was infectious and you knew they were most alive when they were serving people. Briefly they told us about a cookbook that would be coming out in October… they barely touched on it because they were there to make the Rias Baixas wines the stars of the show. After the formal tasting, we were served many of the dishes that would be in the book and they were undoubtedly delicious… but if their cookbook is able to transmit the feeling they give you when you are in their presence, then it will also undoubtedly be a memorable cookbook and I thank them for making the sense of place in the distinct areas in Rias Baixas, Spain memorable as well. This entry was posted in Uncategorized and tagged Albariño, Rias Baixas, Spain. Bookmark the permalink.